Have you been searching for a "flat tire repair near me"? If the answer is yes, you should consider contacting us for tire repair service and tire rotation service. Our certified technicians can inspect your car's tires thoroughly and quickly while helping you decide if you need any repairs or replacements. We understand that tire repair cost is always a factor to consider, which is why we strive to offer you a variety of discounts and tire rotation coupons. Speak to one of our professionals at our Norwich, CT, and Meineke #917 to learn more about our tire repair services. Keeping your tires in optimal condition is important for a myriad of reasons. First of all, well-maintained tires handle better on slick and uneven surfaces. Their ability to handle these surfaces means that you and your passengers are less likely to be involved in a collision. Tires also have a significant impact on your suspension system, and if they are not rotated periodically, you may have difficulty steering your vehicle. Tires are frequently overlooked by drivers, but the better your tires perform, the better your entire vehicle will perform. 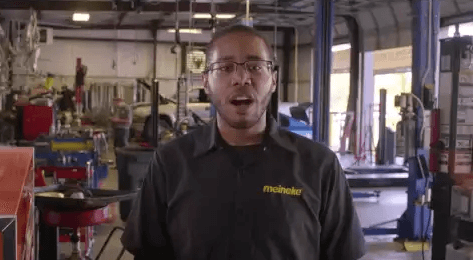 Stop by our Norwich, CT, Meineke #917 store for a comprehensive inspection today. What are some signs that you need your tires or wheels repaired? Some may seem fairly obvious. A puncture or blowout will typically have you on the computer or phone researching all of your "flat tire repair near me" options. However, there are other, less subtle signs that your wheels or tires are in need of service. One may be if you experience issues with your vehicle's performance, such as a noticeable shaking in the steering wheel or the entire vehicle whenever you go above 40 mph. Another may be uneven wear across the tread of each of your vehicle's tires. 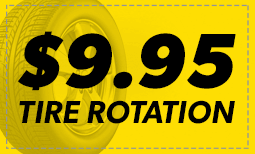 A quick balance or tire rotation service done at Meineke #917 in Norwich, CT can help you avoid ending up getting stranded on the side of the road. Damaged tires and wheels are a potential hazard that can be completely avoided with proper maintenance. If you ignore tire pressure issues or put off your search for "tire repair near me," you are placing yourself, your vehicle's occupants and everyone you pass on the road in danger. Without properly maintained tires, your tires could explode while you are driving, causing you to lose control. Contact Meineke #917 in Norwich, CT for information on tire repair and tire pressure sensor replacement. While proper care and maintenance can extend the life of your tires, a trip to your local repair shop for new tires is inevitable at some point. The key is knowing when you should bring your vehicle in for servicing so that you can prevent worn tires from affecting other vehicle systems. At Meineke #917 in Norwich, CT, we recommend replacing your tires at least once every 10 years. Sometimes, replacement needs to be done more frequently. Bringing your vehicle to us for regular inspections will allow you to spot major issues before you end up stranded on the side of the road. Drivers can expect high-quality service from us, but we also understand that tire repair cost and tire replacement cost are important to consider as well. If you are experiencing issues with your steering and suspension, you may also be curious about our tire rotation cost. We realize that vehicle maintenance and repair can be expensive, which is why we strive to offer some of the most affordable prices in the industry to our customers. Your local store may also offer various coupons and discounts. Call our Norwich, CT, Meineke #917 store for additional information about our services.